Further heating up the UK mobile market, Virgin Media has launched new unlimited mobile tariffs, offering unlimited data and text messages from as little as £21 per month as it attempts to lure customers away from T-Mobile and Three’s all-inclusive plans. Keeping the tradition of offering its existing customers (those that have Virgin Media broadband, phone lines or Internet) additional perks, the Premiere plans start at £21 per month, offering between a £5 and £7 saving on each additional tier of the plan. 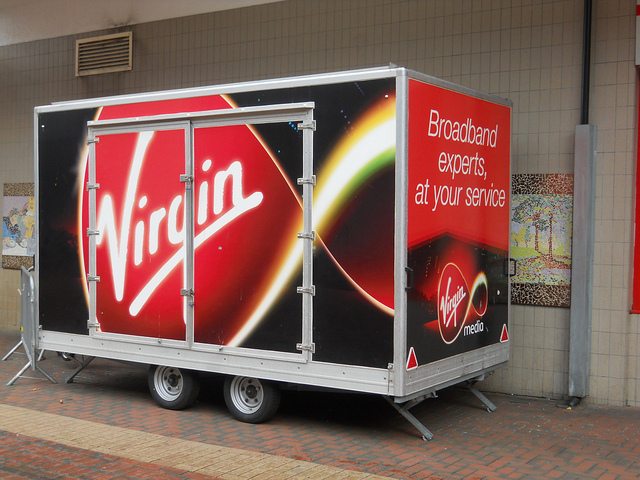 Existing customers also get unlimited calls & texts to Virgin Mobiles. The ‘Premiere 08’ will cost £33 per month (£28 if you’re an existing customer) adding 500 minutes of calls to 0800, 0845, 0870 and 0808 numbers to the unlimited data plan. From £18 a month (£13 for Virgin Media customers) you can pick up a plan with 200 minutes, 500 texts and 500MB data and the ‘Essential’ plan offers 600 minutes, unlimited text and 1GB data from £23 (£18 for customers) per month. Each of the tariffs has 24-month tie-in. If you’re in the market for a new plan, Virgin Media’s are very competitive. However, the handsets available to you will be limited (currently only the Samsung Galaxy Ace Plus, Samsung Galaxy Ace and HTC Desire C). However, the Samsung Galaxy S3 is available on the Premiere plans, but it will cost you £41 a month.